To me accelerated learning is somewhat of a misnomer, because it is not just about speed. As well as reading this you can also download two recent podcasts from the Trainer Tools website and an article published in the Training Journal in 2016, called “Get up to Speed”. 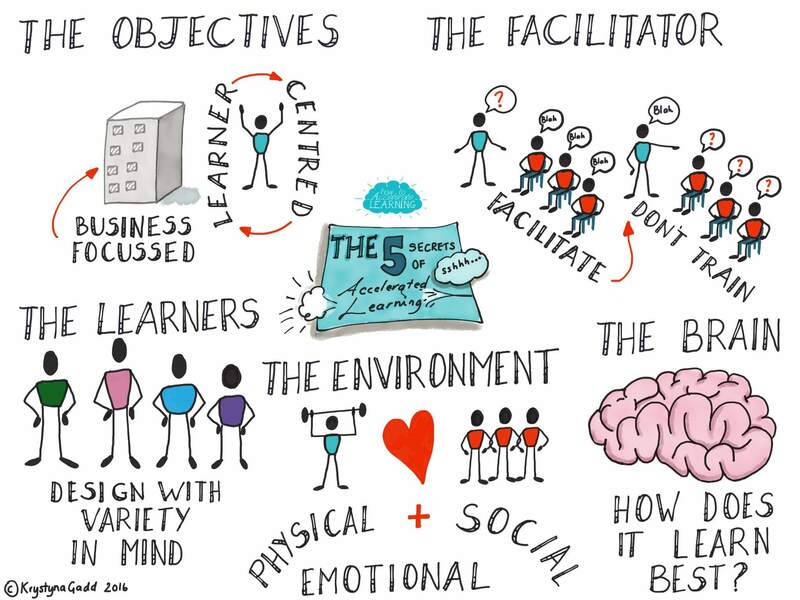 The learning environment is a balance of a stimulating physical room, where social learning is encouraged and emotionally the learners feel safe, as well as supported. The social learning continues across other platforms. 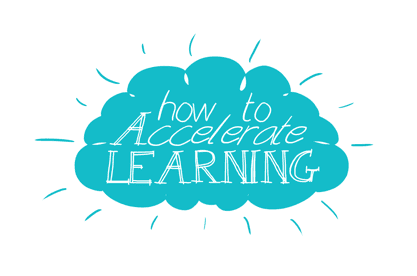 There are many accelerated learning models out there and each has its own merits. My “5 secrets” are broad brush areas, which have to be addressed in order that learning is accelerated through any organisation. If you take care of these areas then you can use another great model like David Meiers 4 P’s, Colin Roses MASTER model or my own NATURAL model to give more definition to what you do next. 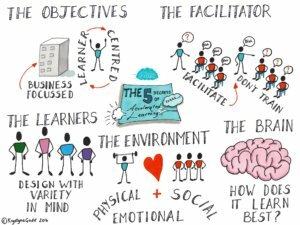 Be a facilitator not a trainer – this promotes and inspires learners to learn more and carry on learning. Learn about the brain to maximise retention – having covered the other 4 secrets, if you don’t work with how the brain works, learning will not stick. If you would like to know more then join us on The Learning Loop® or at one of our Showcase events, or contact us directly.